If bathroom space is at a premium, the Midas 100 bath shower mixer, with its adjustable, 90mm Harmony shower head is a great solution. The slim, bar control can be fitted onto your bath or the wall and a simple diverter lets you switch between thermostatic showering and bathing. Temperature and flow controls are neatly integrated into the Midas 100 control, which also features a temperature override button. 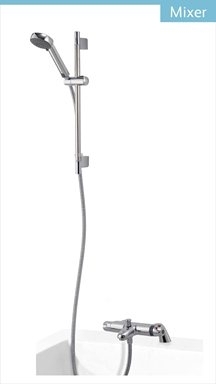 Suitable for high pressure and combi boiler plumbing systems, the Midas 100 bath shower mixer comes complete with fixings for deck mounted installations and a Harmony shower head. 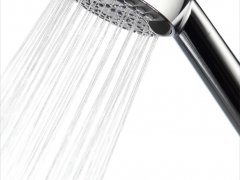 Harmony shower heads have 4 spray patterns including an eco-spray setting. 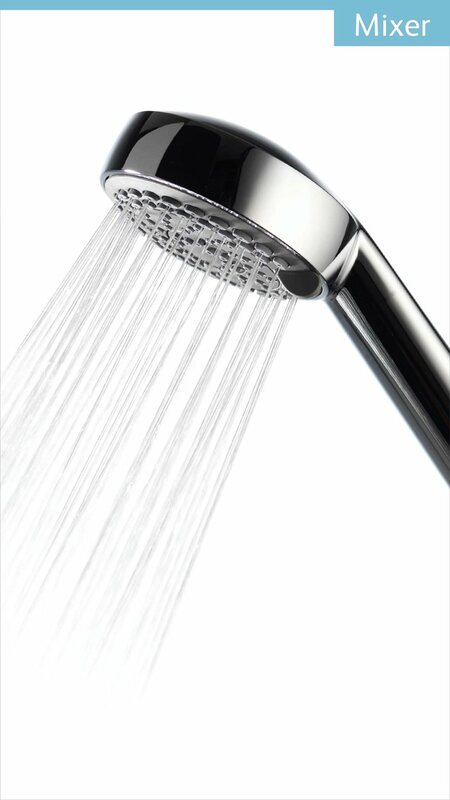 The setting can reduce water usage by up to 25%, yet will not compromise your shower experience.